Special Commissioned painting. 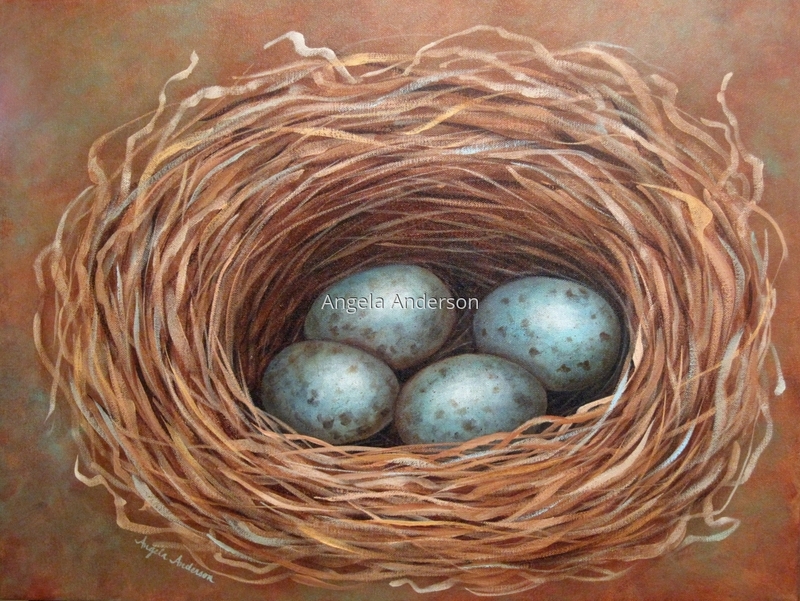 Nest with four blue eggs. 5" x 6.625"8" x 10.625"11" x 14.625"14" x 18.625"17" x 22.625"20.625" x 27.5"